I have worked with leaders who use a metaphor (or is it an analogy?) 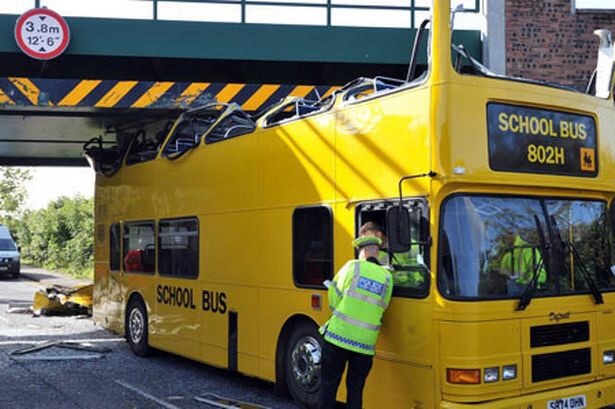 which uses a bus to compare with a school organisation. The two most commonly used aspects of the metaphor are ‘getting everyone on the bus’ (ensuring your colleagues have the same values, vision etc ) and ‘making sure people are on the right seats’ (ensuring individuals are doing the job that is best for them and the organisation). I’ve always disliked the way it was used because I always heard it being used as a threat or a comment made when something or mainly someone didn’t ‘fit’. Whilst the person using it may think it is a clever thing to use to describe their organisation, I left seeing the negatives of how it made people feel and how misguided it really is. Here’s why. It assumes there is one person at the front (the bus driver/Headteacher) who is in control. The passengers/colleagues are almost shown as passive by standers with little/no responsibility for the bus/school. It assumes that the driver/Headteacher knows what they’re doing, where they’re going and they are always right. The driver/Headteacher has to always be at the front during the journey. For it to be a safe journey they should always keep their eyes looking forward. Focusing on their route, to their destination. It would be rare for someone to stand up and give the driver their opinion on the route they might consider. It is a one man decision. It plays on power. 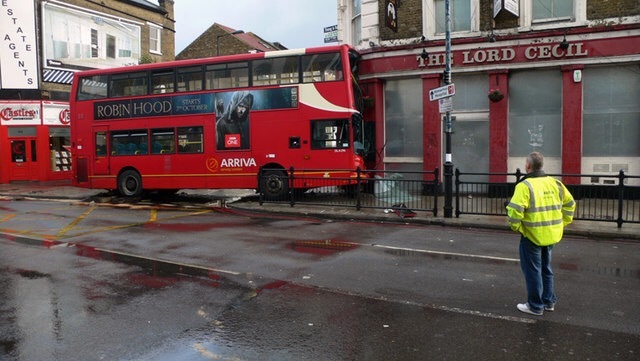 The ability of the driver to ‘kick off’ anyone who ‘isn’t on the bus’. The driver is always right in who they do/don’t kick off. Sometimes a bus crashes. Usually a tiny error of the driver that impacts everyone. Since then I found out that this metaphor was suggested by Jim Collins and clearly school leaders have latched on to it to supposedly motivate their staff. Here he says there are three ‘truth’s a great leader needs to accept to make a great organisation. Whilst these have some truth in them, they are not enough in themselves. They also have potential negatives that will outweigh the positives. Whilst he probably never envisaged the metaphor to be used in the way it may have done the biggest issue I have with it is the role of one driver with others passively following in the seat they’ve been told is ‘right’ for them. Schools aren’t as simple as this. Leadership is much more complex. Most importantly the power,destination and direction should not belong to just one person. Poor leaders will use this metaphor to justify their actions. Poor leaders will use the metaphor and ask people if they’re ‘on the bus’; this is seriously poor leadership. Perhaps more poignantly, poor leaders pick up on a metaphor (or sound bite) used by someone else and throw it into staff meetings without thinking about what it really means and the negative impact it may have on colleagues. It’s a poor metaphor. Please don’t use it. I’d not actually come across this metaphor before and I agree that it’s an unfortunate model, but I think it fits the attitude of many senior leaders. I find that kind of rhetoric and the thinking behind it to be disturbing and frustrating. The cut and thrust business model, even in business, isn’t something I want to support. I’m particularly antagonistic to the notion of ‘getting the wrong people off the bus.’ I’ve seen that in action – the ‘wrong’ being bullied into leaving at best, and mental breakdown and suicide at worst. If I could extend the analogy, I’d suggest that all the people are on the bus, sitting in their designated areas and accountable for the final destination of the bus, without any ability to actually influence where it goes. If anyone suggests that the route will lead to a dead end swamp, they quickly become one of the ‘wrong’. Thanks, Dawn – accept what you say about how the metaphor can be interpreted BUT I think ‘Good to Great’ by Jim Collins has a lot of really good stuff to say about leadership. I can recommend it!